This month, the Full Moon is in Libra. A Full Moon in Libra calls for sharing, peace, and harmony, but that’s not all. 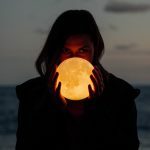 What’s more interesting is having a double Libra full moon on April 19th, 2019. What will be its effects? What zodiac signs are most affected by this one? We reveal to you all the secrets of the approaching Full Moon. This Moon in Libra allows us to go to others and create a harmonious relationship by remaining ourselves through the management of conflict, in a search for balance, harmony, and peace. It is not surprising that the mastery of Libra comes back to Venus which symbolizes the principle of love since its true role is to live together despite our differences, which is a big challenge. Here, we speak well of existing as “self” while including others. Venus always transits the sign of the Pisces which makes it very intuitive, very compassionate, very spiritual, but above all, connected to the soul of the world, wanting to show us that the love of oneself and the love of one’s neighbor, are a one and only entity, when it is under the energies of Neptune and it speaks of unconditional and universal love. Libra is an Air sign that likes to make a conversation and is an optimistic zodiac sign. To find balance in the way, we put ourselves in the other’s shoes, which is one gigantic theme throughout this day, and we are seizing another opportunity to assess relationship issues because we get a double Libra full moon in April 2019. The association Moon and Venus will intensify our need for love, tenderness, and affection. Those who may find themselves in a form of frustration in this area will suffer sincerely and deeply from further emotional disturbance. Just show appreciation for this full moon. Since this creates new growth opportunities, why not tap into your innate energy to move forward? You know that you have the power to do it. This day could be a great experience where you will, at last, get to such a level of intimacy and dependence with a person that you will not regret at all. But it could be the last energy boost that will rock your relationship. On this day, Scorpios will see everything under the surface. Their life is probably not as dazzling and limpid as it looks. There may be fractures in a reality that seems ideal. This day will be sensitively powerful, vibrant and full of challenging situations for Pisces. It will take place in your VIII House of transformation. To feel changed, you must conquer the pain and give up things for development.